The GLL Sport Foundation supports over 2000 athletes, but they seem to be having a lot of success for ice dancing. In addition to Alexandra Snowdon who won Gold at the Copenhagen Dance Cups, Rosie Hope also won a silver. 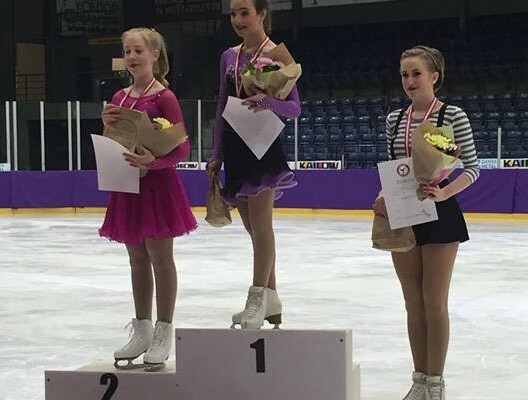 12 year old talented Rosie Hope, won a Silver Medal for Great Britain in the Junior Ladies Solo Age Requirement category at the Copenhagen Dance Cups 2016 Competition over the Easter weekend. Rosie’s combined scores from her short dance and free dance are her personal best so far this season. Rosie was part of the eight member team from the Streatham Ice and Leisure Centre Rink, London, which went to Copenhagen and returned with eight international medals. Rosie trains six days a week at the Streatham Ice and Leisure Centre Rink under the tutelage of Diane Towler-Green MBE and her daughters, Phillippa and Candice Towler-Green. She has been honoured with a GLL Sport Foundation Achievement Award and plans to take advantage of the excellent Better gym facilities available at the Streatham Ice and Leisure Centre to add to her off ice training schedule. GLL’s support, and that of her school James Allen Girls’ School and her coaches, provide Rosie with a strong foundation on which to improve and develop her ice skating this season which culminates with the British Solo and Couple Ice Dance Championships in Sheffield in June. We wish Rosie the best of luck in the British Solo and Couple Ice Dance Championships and are proud to be supporting her for another year!